An attractive mirror not only brings a decorative touch to a room, but it can also add light and the illusion of space. This weekend, make a great-looking mirror frame from items that you may already have on hand. There’s more to a mirror than just seeing yourself in its glass. For one thing, because they reflect natural and artificial light, mirrors can make rooms appear larger. They add character too, lending a lived-in look to the decor of a room. For do-it-yourselfers, what’s best about mirrors is how easy they are to customize. With basic and oftentimes free materials, you can make a DIY mirror frame this weekend, using your own idea or one of our five favorites below. Here’s a DIY mirror frame project that you would expect to be difficult and time-consuming, but it’s actually neither. 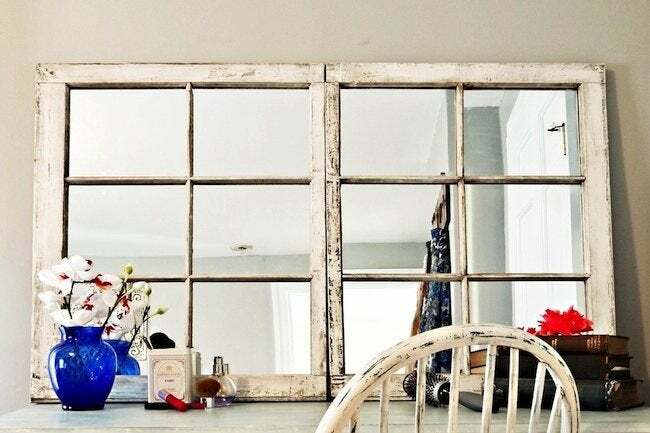 To transform a wood-framed window into a statement mirror, simply swap out the glass panes for cut-to-size mirrors or as an alternative, coat the glass with a product like Krylon Looking Glass Paint. 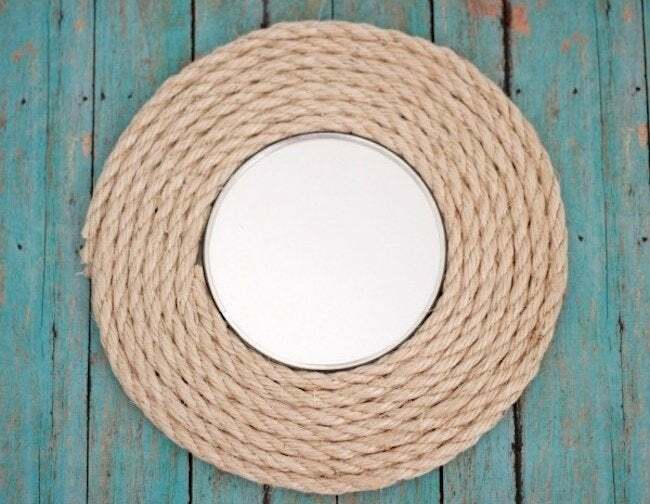 If you love coastal-themed decor, then don’t hesitate to create this DIY mirror frame that involves only sisal rope and glue. Other than patience, this project takes no special skills or tools to create. And once finished, you’ll love how it looks next to your coral and seashells, anchors and buoys. 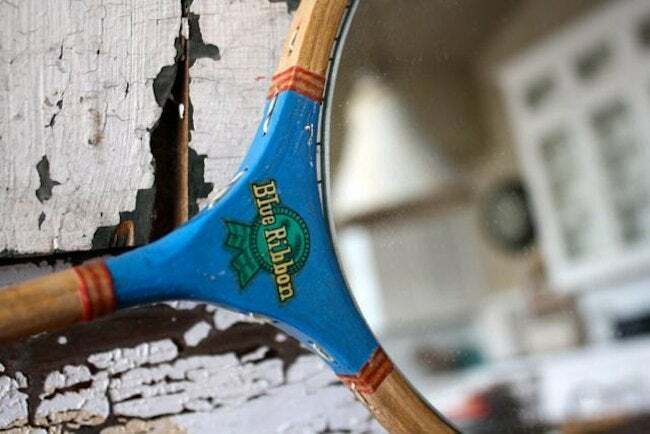 With very little modification, a vintage tennis racket becomes the perfect DIY mirror frame for any sportsman or oddities-lover. The hardest part is lugging yourself to a glass shop to purchase a beveled mirror in a custom size. From there, it’s dead simple—just be sure to use a strong adhesive to secure the mirror in place. 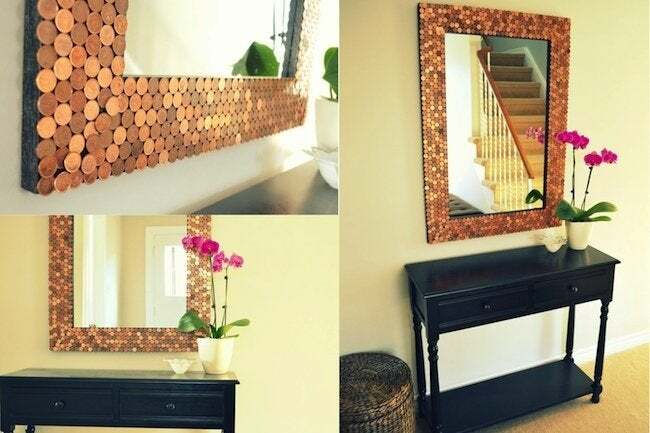 The entire family can help make this copper-covered mirror, since it’s no more complicated than gluing pennies over a simple wood frame, or directly onto a frameless mirror. The metal coins render the mirror even more reflective; add yours to a dark hallway or any other space that would benefit from more light. 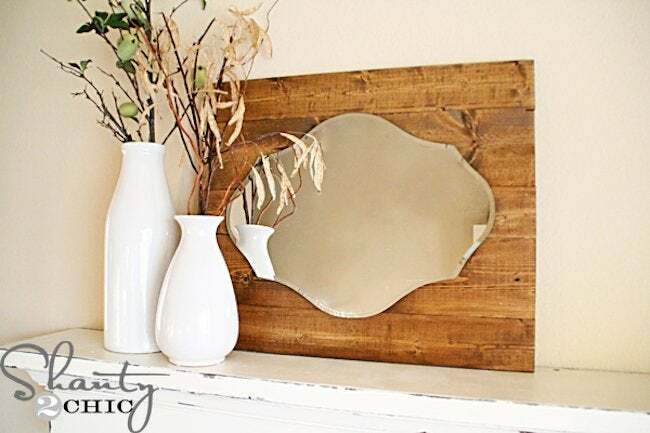 When mounted to a backboard of reclaimed wood or stock lumber finished with paint or stain, a frameless mirror suddenly turns into an eye-catching, head-turning focal point. After ripping boards to the same length, screw them together, then fasten the mirror to the face of the wood using your chosen hardware.